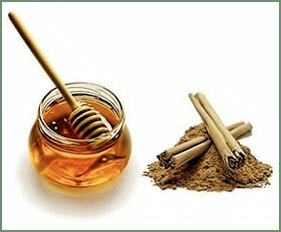 Used separately, both honey and Cinnamon have excellent healing properties. But their combination is even better: for ages, cinnamon-honey mixture had been considered as an elixir of health and immortality. According to the ancient beliefs, it could resolve a myriad of health issues (including restoration of the lost vision and revival of the dead). Both oriental and ayurvedic medicine appreciated this simple combination as well. Science, on the other hand, has also something to say on the issue of this natural remedy. Studies and researches conducted and performed worldwide (including Japan, United States and Australia) agree on the high degree of efficiency of the cinnamon-honey combination in cases of low immunity. This natural remedy has proven to have a beneficial effect on the entire body, making it stronger and more resistant to illnesses. Below you will find some of the health benefits of this natural combination. Be persistent, long-term use of these teas (3-5 months), can improve the state of your body, and even beat the disease. Honey and cinnamon used on a regular basis can significantly strengthen our immunity and successfully protect our body against various viruses and bacteria. Take one tablespoon of cinnamon and four tablespoons of honey, steep it in one cup of boiled water, and drink it four times a day. Enjoy the benefits of cinnamon-honey tea on a daily basis, and remain vital and healthy. According to ancient Himalaya tribe called Hunza, this tea slows down the aging process. Take one tablespoon of honey mixed with a teaspoon of cinnamon three times a day for one month. Researches conducted in Japan suggest that a mixture of honey and cinnamon can help in treatment of this difficult disease. Taking two tablespoons of cinnamon-honey mixture after meals can really enhance digestion. Add one teaspoon of cinnamon and two tablespoons of honey into one cup of hot water and mix it well. Take one cup in the morning and one before going to bed. Long-term consumption is said to cure even the chronic arthritis. Heat olive oil and add one tablespoon of honey and one teaspoon of cinnamon. Rub the mixture into your scalp and leave it for fifteen minutes. It strengthens the hair root and prevents further hair loss. Note: Honey should not be given to infants under the age of 12 months. While consumption of honey is generally safe for adults, cinnamon, on the other hand, could cause allergic reactions. Bear that in mind before using this remedy. NEXT TIP: How to strenghten your Immune System?